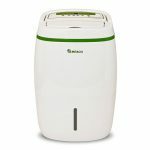 Meaco DD8L Review - Is This The Best Value Desiccant Dehumidifier? 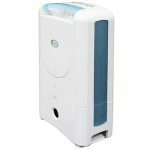 Home » Desiccant Dehumidifiers » Meaco DD8L Review – Is This The Best Value Desiccant? The Meaco DD8L is a desiccant dehumidifier with a compact design and 8 litres per day extraction capacity. But how quickly can it dry a damp room? And is it worth the money? Keep reading our Meaco DD8L review to find out. Don’t confuse the DD8L with the DD8L Junior or DD8L Zambezi. The Zambezi is a newer and more advanced model (and considerably more expensive), while the Junior is a cheaper option. The Meaco DD8L is a compact and lightweight model that provides great value. It comes with Meaco's Control Logic, to reduce energy consumption, and has a laundry drying mode. Most importantly, the dehumidifier is quick to extract water from the air. The DD8L has a simple design that allows it to blend in with almost any interior decor. It’s not the most attractive machine on the market, but the relatively small size – 35.1 x 50 x 18.8cm (WxHxD) – means it won’t take up too much space. One thing we don’t like about the DD8L is the water tank is at the back of the machine. This means you’ll need to move the dehumidifier away from the wall to empty the tank. While this isn’t a major complaint, we prefer front loading dehumidifiers. The small size also means it’s relatively easy to knock over. On the plus side, the DD8L includes both an ioniser and anti-bacterial filter. If you suffer from allergies, this combination can help reduce symptoms. You’ll need to clean the filter on a regular basis but this doesn’t take long. 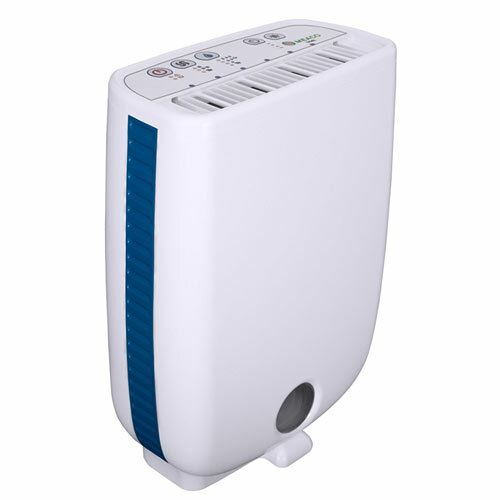 Like most compact dehumidifiers, the DD8L has a two litre water tank. This is relatively small, so be prepared to empty it regularly. While we always prefer larger water tanks, the slim and lightweight design wouldn’t be possible without compromises. There’s also a continuous drainage option. A hose is included for this, although you’ll need a drain at a low level in order to use this feature. 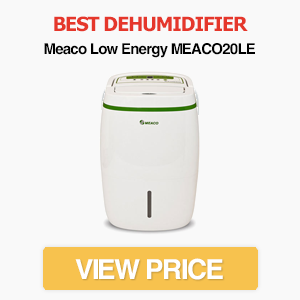 Meaco lists the DD8L as a portable dehumidifier, and, while it’s not the smallest dehumidifier on the market, it’s relatively compact and lightweight. Weighing just 6.4kg, it’s easy to carry around the home – especially with the built-in handle. It doesn’t include castor wheels though. For these reasons, if you’re looking for a dehumidifier that can be quickly moved from your home into your garage, caravan or boat as needed, the DD8L is a fantastic option. The Meaco DD8L is a desiccant dehumidifier, so it doesn’t use gases or refrigerants to remove water. It’s capable of extracting 8 litres per day in ideal conditions. This is considerably less than the most powerful refrigerant models, but keep in mind that refrigerant capacities are estimated in hot and humid weather. In the average UK home environment, Meaco estimates that an 8 litres per day extraction is equivalent to around double for a refrigerant. This is backed up by the performance of the DD8L. It can rapidly remove water from both cool and room temperature environments despite the compact size. If you’re looking for a small dehumidifier that can remove moisture as fast as much larger models, the DD8L is a great choice. It’s an excellent option for conservatories and garages. The lack of castor wheels also makes it an attractive choice for people with boats. While the 8 litre capacity might not sound enough for large homes, we think the DD8L is suitable for houses of up to four bedrooms in size. Like other desiccant dehumidifiers, the DD8L has a relatively high wattage – at least on the highest fan setting. In warm conditions, this means it’s less energy efficient than refrigerant models. However, desiccant dehumidifiers extract water faster as the temperature drops, so they don’t need to be left on for as long. They are therefore more energy efficient in cooler environments. As a bonus, desiccant dehumidifiers also provide a small warming effect, which is useful in the winter. The DD8L comes with Meaco’s Control Logic system. This allows the machine to switch off when the humidity is at the correct level. Instead of just monitoring humidity and turning on at a later time, the system “samples” the air via the fan every 30 minutes. Once it detects relative humidity has increased, the dehumidifier switches on again. It’s a simple system yet can dramatically reduce energy bills compared to leaving the machine on continuously. There are three fan settings, so you can adjust the energy output depending on your requirements. While the highest speed consumes 650W, the medium and low settings consume just 330W and 30W respectively. The lowest fan speed also reduces the noise level by 9dB. It’s never going to be the most energy efficient machine on the market, but it’s also far from the worst. Unfortunately, a downside is that there isn’t an “auto” mode for the fan settings. We would have liked the DD8L to switch to lower fan speeds as humidity drops, but there isn’t an option for this. On its full speed setting, the noise level is 48dB. This makes it one of the louder dehumidifiers on the market, and it certainly isn’t suitable for bedrooms in this setting. The fan settings allow you to reduce noise output considerably though. The middle setting offers a good balance between water removal and noise (43dB), while the low setting is great for nights (39dB). Laundry drying mode. This can quickly dry laundry and stop large quantities of water escaping into the air. Automatic restart. If the dehumidifier loses power, it’ll restart in the same mode it was left in. Automatic shut-down. When the water tank is full, the dehumidifier will automatically switch off. Timer. An off-timer of up to 8 hours is included. Like most desiccant dehumidifiers, the DD8L doesn’t have a digital display. Instead, it has a simple control panel with various electronic buttons. This makes it easy to use, but it would have been nice to be able to quickly see humidity information. As you can see from the picture above, there are three fan settings and three humidity settings (along with the laundry drying mode). You can also turn off the ioniser or set a timer. Everything is straightforward and intuitive, so you won’t need to spend long reading the manual. The Meaco DD8L has an RRP of £200, which puts it on the edge of our Premium category. Even so, we think it provides great value for money – especially if you want a powerful dehumidifier that isn’t too big. It’s also often available for less than the full RRP, making it a bargain that’s difficult to ignore. The Meaco DD8L dehumidifier is a fantastic desiccant model that provides great value. It can quickly extract water in both cool and warm environments, uses Meaco’s Control Logic and has a portable design. The biggest downside is the small two litre water tank, but this is to be expected from a compact dehumidifier. 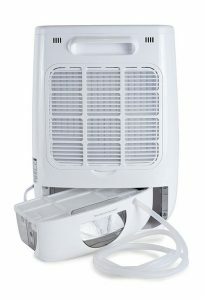 In short, if you need a small dehumidifier but don’t want to sacrifice water extraction, the DD8L is a great choice. It’s probably not quite powerful enough for the largest homes, but can deal with anything up to four bedrooms. 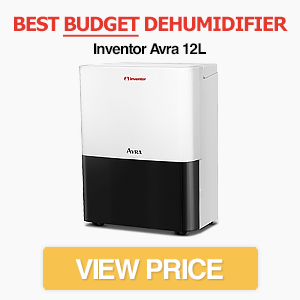 We’ve also included it in our list of the best dehumidifiers.